♦ New screenshots have been added! ♦ Check out the Theme Song and BGM Information! ♦ Twitter icons are added! ♦ Check out a new trailer and gameplay footage! ♦ All characters are now live!! New content on the Character and System page! ♦ More characters are added! ♦ Also, new system content has arrived! More content on the Character and System pages! 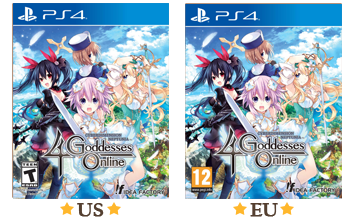 ♦ Say hello to Tamsoft and Uzume! ♦ And learn more about chatting with other players! Some new updates have been added! ♦ Mosey on over to the Characters page! ♦ And take a look at Facilities in Wishuel! New content has been added! Woot! ♦ Some more characters you say? Yes! ♦ Also, a bright shiny new System page awaits! ♦ Say hello to some more members! 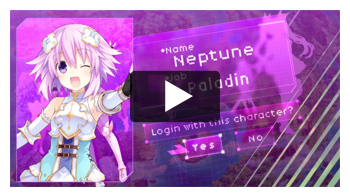 Cyberdimension Neptunia™: 4 Goddesses website launched! Updates coming soon!